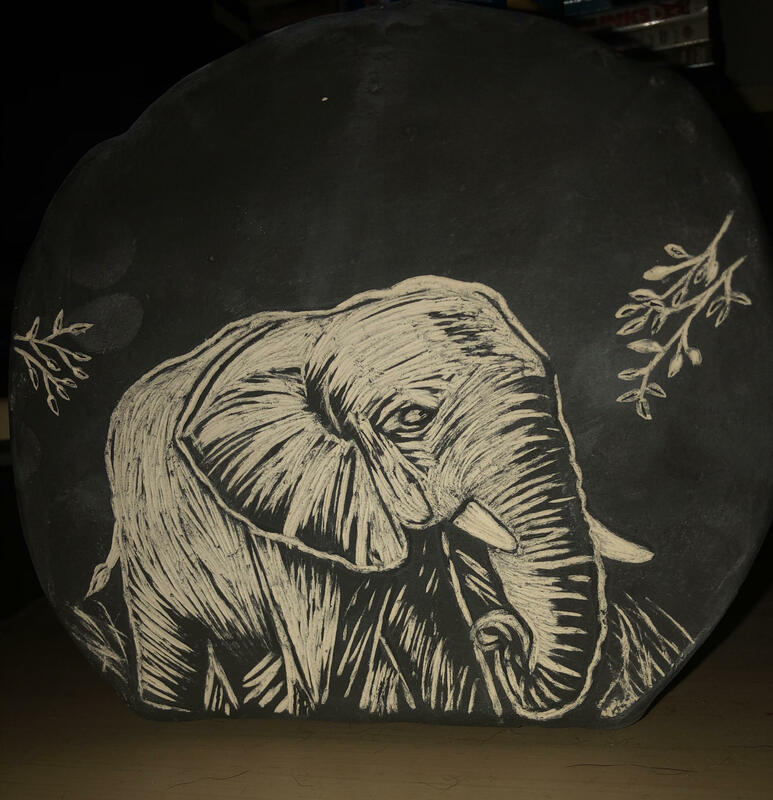 Create a 'hard slab' ceramic box and decorate with sgraffito designs. Teacher demonstrates how to make 'hard slabs' - rolling out and cutting slabs of clay and letting them dry out until they are 'leather hard' - stiff but still cold to the touch. Teacher demonstrates how to assemble the box using score and slip methods. Students assemble boxes and clean them up as best they can. Teacher demonstrates how to paint the greenware clay with underglaze or colored slip. Thick coats. Teacher demonstrates how to carve through the underglaze/slip to expose the raw clay underneath. Students decorate their boxes with sgarffito designs. 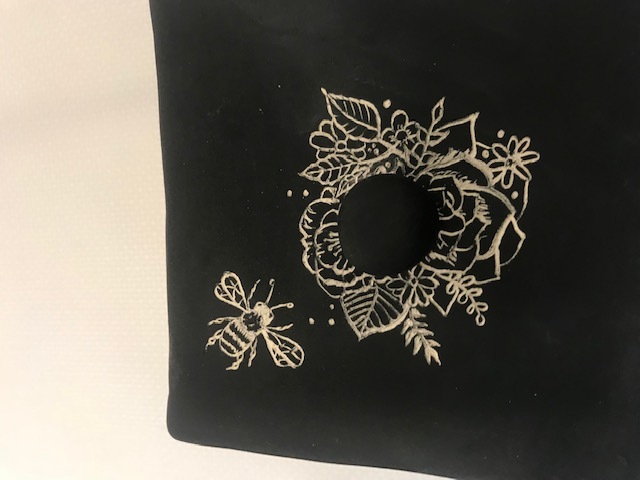 Boxes and fired, and if students choose, can be glazed with clear glaze and fired again for a more shiny finish or can be left matte. Do students boxes have straight edges and hard corners that are the trademarks of a 'hard slab' box? 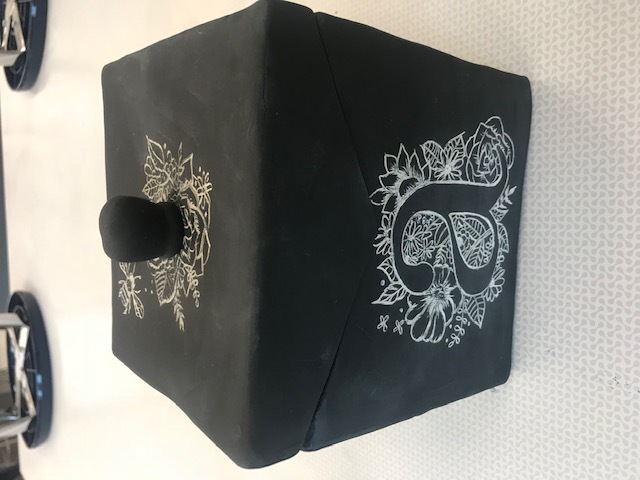 Did students use sgraffito designs to decorate their boxes?